Pharmacist: Applicants who have completed B. Pharmacy from a recognized Institute Or 10+2 with science stream (Physics/ Chemistry/ Biology) from a recognized Board. Nursing Officer: Applicants who have completed Matriculation or its equivalent and ‘A’ Grade certificate in Nursing from a recognized Institution and Certificate in Midwifery and Should be able to speak Hindustani fluently. Occupational: Applicants who have completed Matriculation or its equivalent and ‘A’ Grade certificate in Nursing from a recognized Institution and Certificate in Midwifery and Should be able to speak Hindustani fluently. Technical Assistant (Ophthalmology): Applicants who have completed F.Sc./ Premedical, Hr. Sec. with Science and Diploma in Occupational Therapy from recognized Institute. Dental Hygienist: Applicants who have completed Matriculation or equivalent from a recognized University/ Board and Dental Hygienist certificate from a recognized Institution. 3. Should be registered as Dental Hygienist. Speech Therapist: Applicants who have completed Graduate in Science or Arts or Nursing from a recognized University and Two years experience as a speech therapist or equivalent from a recognized Institute for DSSSB Recruitment 2018. Auxiliary Nurse Midwife: Applicants who have completed Registered Auxiliary Nurse Midwife or equivalent from a recognized Institute for DSSSB Recruitment 2018. Lab Assistant (Group-IV): Applicants who have completed Matriculation/ Hr. Sec./ Sr. Sec (10+2) with Science and Diploma in Medical Laboratory techniques from a recognized institution Or 10+2 Vocational Courses in Medical Laboratory Technology (MLT) from a school recognized by State Govt. Physiotherapist: Applicants who have completed F.Sc. / Pre-Medical / Hr. Secondary with Science and Diploma Physiotherapy from recognized Institution or equivalent from a recognized Institute for DSSSB Recruitment 2018. Social Worker: Applicants who have completed Post Graduate Degree in Social Science from Recognized University or equivalent from a recognized Institute for DSSSB Recruitment 2018. Technical Assistant (OT/CSSD): Matriculation / Hr. Sec./ Sr. Sec. (10+2) with Science from a recognized institution / Board and Operation room Asstt. Course from a recognized institution and also 05 years experience as O.T. Technician in Operation Theatre / CTS / Neuro-Surgery/ Gastro-Surgery/ CSSD/ Anaesthesia/ Gas Plant/ Anaesthesia/ Workshop/ ICU Surgical/ Resuscitation in a recognized Hospital/ Institution. Assistant Security Officer: Applicants who have completed Matriculate or equivalent and Ex-Serviceman having 05 years active Defense Service or equivalent from a recognized Institute for DSSSB Recruitment 2018. Lab. Technician Gr. III: Applicants who have completed B.Sc. Desirable with 01 year experience as Lab. Assistant in any of these groups of Laboratories(Cardiology/ Neurology/ Respiratory Labs/ EEG/ EMG/ ERG/ CCU/ CCI/ POW/ ECG.). Assistant (OT/CSSD): Applicants who have completed Matriculation/ Hr. Sec./ Sr. Sec. (10+2) with science from a recognized institution/ Board and Operation room Asstt. Course from a recognized institution. Grade-IV (DASS)/Jr. Asst: Applicants who have completed 12th Class or equivalent qualification from a recognized Board or University and A typing speed of 35 w.p.m. in English or 30 w.p.m. in Hindi on a computer. (35 w.p.m. and 30 w.p.m. correspond to 10500 KDPH/9000 KDPH on an average of 05 key depressions for each word. 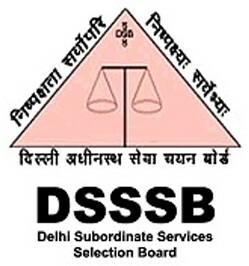 Eligible & Interested candidates can apply via online in Official website page in www.delhi.gov.in DSSSB Recruitment 2018. Complete the DSSSB Jobs Application Form with the essential data. Take a print out of DSSSB Recruitment 2018 online application form. Applicants who have completed Senior Secondary (10+2) or Intermediate, Diploma or equivalent from a recognized Institute for DSSSB Recruitment 2018.